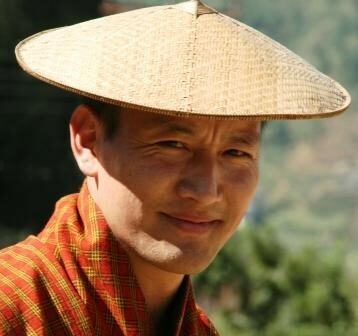 (Dr) Lopen Karma Phuntsho was born in Ura village in central Bhutan and had his school education in Bhutan. At the age of seventeen, he left school and became a monk in Cheri Monastery to study Buddhism. In 1987, he went to India to continue his studies in Tibetan monasteries. Karma spent a year at Sera Monastery and ten years in Ngagyur Nyingma Institute, where he was trained to be a Khenpo, a Tibetan monastic abbot. Since 1994, Karma has taught Buddhism and related subjects in both Tibetan and English and has served as an abbot at Shugseb Nunnery and a lecturer at Ngagyur Nyingma Institute. In 1997, Karma joined Balliol College, Oxford to read for an M.St. in Sanskrit and Classical Indian Religions. He received a D.Phil. in Buddhist Studies from Oxford in 2003. His dissertation was published by RoutledgeCurzon as Mipham’s Dialectics and the Debates on Emptiness, To be, Not to be or Neither. Since then, Karma has worked as a post-doctoral researcher in CNRS, Paris and Research Associate in the Department of Social Anthropology, Cambridge University and the Spalding Fellow in Comparative Religion at Clare Hall. Speaking some eleven languages, he currently serves on many boards as an academic and social worker and has written or collaborated in over 70 books, monographs and articles. His latest magnum opus is the The History of Bhutan, published by Random House.